Many people use shrubs or fences to border their properties and when properly lit, it adds a beautiful and practical element to the boundary line. It’s also going to increase the property value and curb appeal of your property. It just looks nice. When the sun goes down and the world begins to quiet for the evening, there’s really no better time of day to sit and enjoy the cool evening breeze while you unwind from the stresses of the day. Whether you have a patio or deck or not, outdoor lighting gives you your own private space to decompress. When your outdoor space is well-lit, you, your guests, and your family aren’t groping in the dark to find their way to the front door. 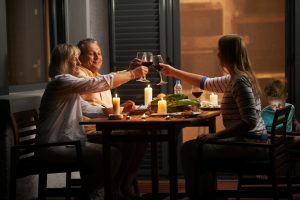 Your outdoor living space is a great place to host parties or get-togethers but you run the risk of injury if the space isn’t well-lit. A homeowner is liable for accidents that occur on the property so landscape lighting is a great way to protect yourself and your guests. With the added holiday traffic, ice, and snow your backyard could become a danger zone. If you have the right lighting, you can create a winter wonderland for everyone to enjoy! 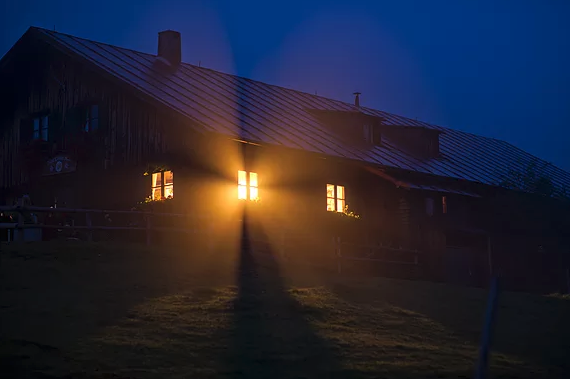 Lights illuminating the exterior of your home make it a less likely to become the target of burglaries or crime. There are fewer shadows to lurk in and the lights make it difficult to break in unnoticed. Landscape lighting draws attention to a house and it’s just easier to see what’s going on. This provides an added element of security because your neighbors can see if something untoward is happening.